April 22, 2013 - After our grade consultation for Auditing Problems 1, I and my great bud (JD) decided to explore more of Binondo, Manila (a.k.a the Philippine Chinatown) and to sort of have a mini food trip. But on top of that, we agreed not to spend above P250 to add more fun to the adventure. So from DLSU, we took a jeepney to reach Binondo Church (which is surrounded by numerous Chinese restaurants) near the Ramada Manila Central Hotel . Note: There are no direct transportation from Taft to Binondo other than the jeepney. 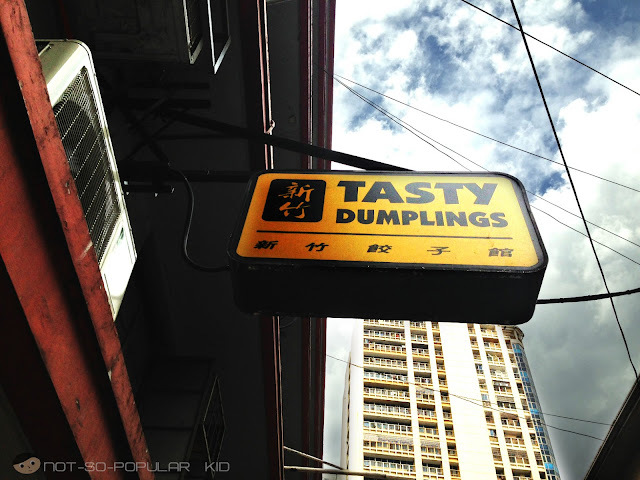 This one is Tasty Dumplings located on Condesa Street just beside the famous Binondo Church. Here's a photo of me taken just outside the restaurant. I wasn't able to get a good shot of what's inside but I'll tell you that it looks really casual. And since Tasty Dumpling is a two-floor establishment, you need not to worry about not being seated. When we visited the place, the ground floor was already full which really showed how popular the place is. Due to that, we had no choice but to dine up in the 2nd floor, which wasn't a big deal actually. 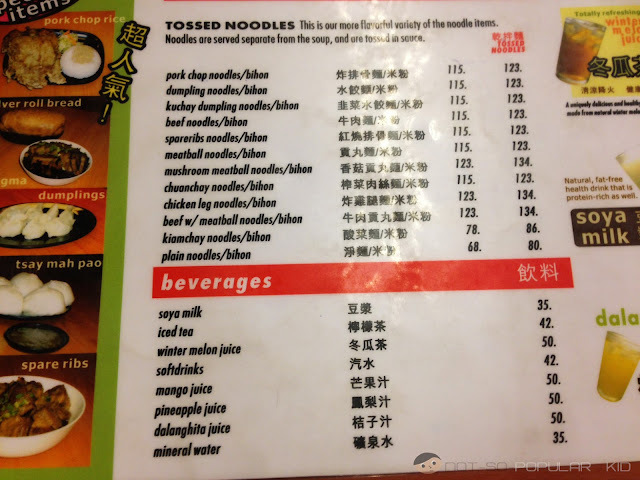 Prices are somewhat wallet-friendly which was really favorable for us since again we agreed not to exceed P250 for our entire Binondo-exploration (lunch to merienda time). Actually, it was my second time already in Tasty Dumplings, so I recommended the Fried Pork Chop to JD which was then affirmed by the waitress as their best seller. 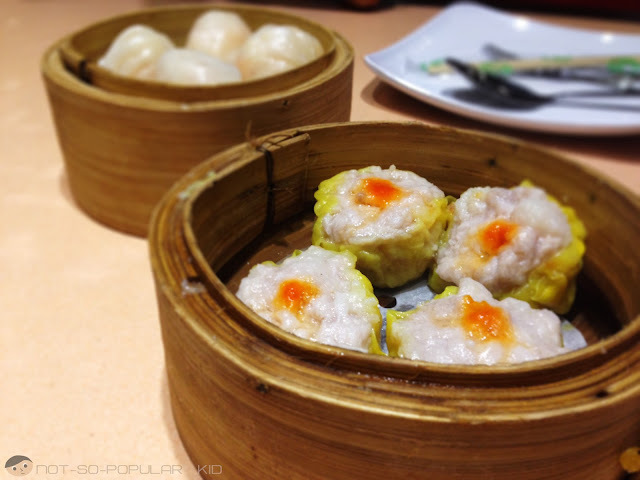 Just to share with you: during my first visit, I ordered their steamed dumplings, which I thought was their specialty (after all, it shouldn't be called "Tasty Dumplings" for nothing right? ), while my brother ordered the pork chop. 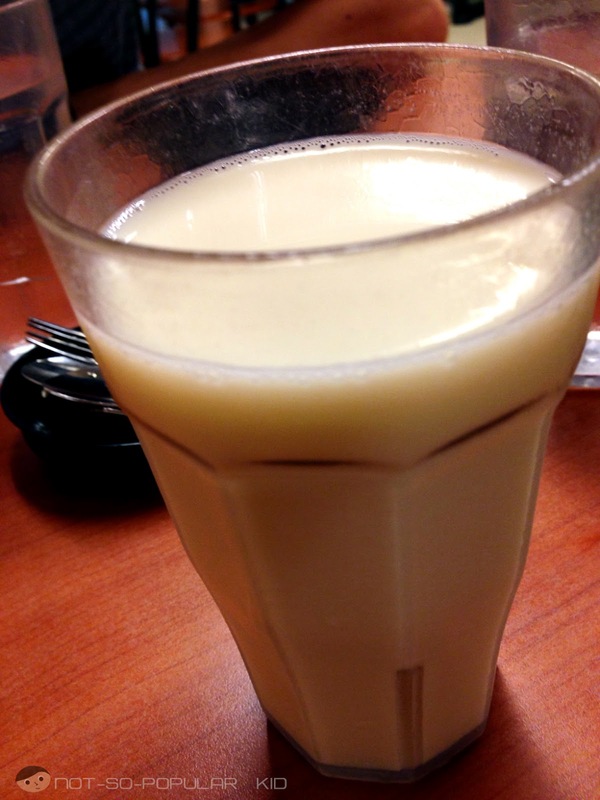 Anyway, here's what I had for drinks (something that Tasty Dumplings is also known for), Soya Milk at P35. This Soya Milk was really refreshing especially that it was intensely hot outside. The taste was also great, but I can't determine if this was the best I had so far because for me, they all taste the same. This dish features a different yet exciting taste for the pork chops. 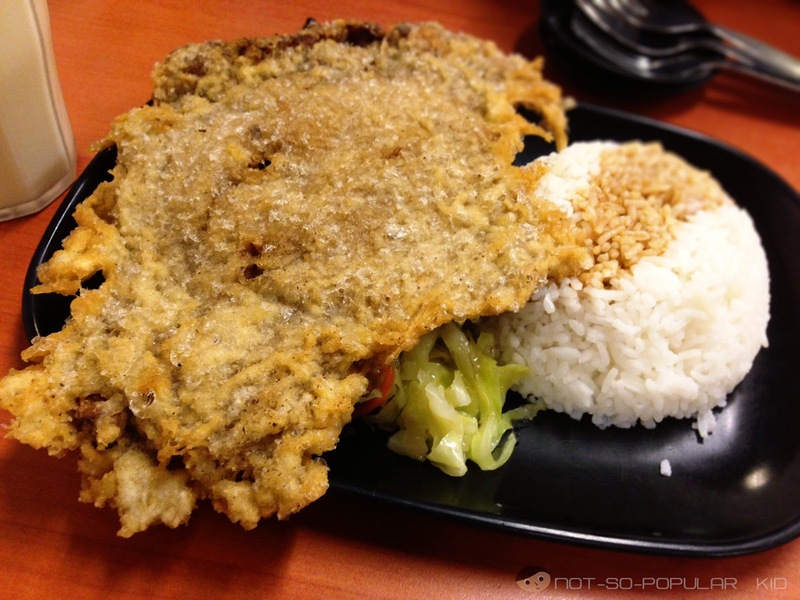 The pork was thinly cut and coated with a crunchy and sweet breading. If you were able to try the chicken of Sincerity, you will have an idea of how this pork chop tastes like because it was somehow similar. Oh, don't forget to use the sauce of Tasty Dumplings because it balances the dryness as well as compliments the taste. And that ends our delightful lunch experience! To sum it up, we both enjoyed the food! And also, I only spent P140, leaving me with P110 more for the rest of the day (i.e. for merienda). For the succeeding hour or two, I brought JD to Lucky Chinatown Mall since we were seeking for a sanctuary (against the incredible heat). We just toured and explored the mall without minding the time. But then, we became hungry again and noticed that it was 4:00 pm already. And so, we decided to visit the Golden Fortune Restaurant. Golden Fortune is famous for its Shabu-Shabu as well as Dimsums. But, you know what I really love about Golden Fortune? During off peak hours (i.e. 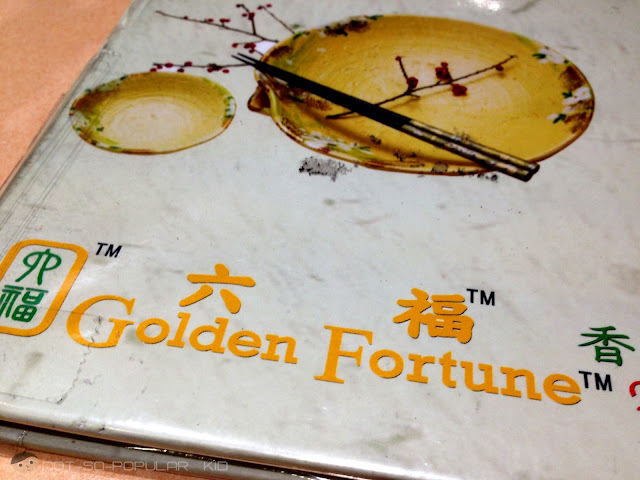 2:00 pm to 5:30 pm and 9:00 pm to 12:00mn), Golden Fortune offers its dimsums at discounted prices. It was perfect because I needed to abide by the P250 limit. Hefty savings right? That's P22 off the regular price which was about 31.43% (of savings in percentage). And as for the taste, it was lovely! 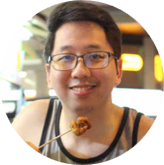 I was able to distinguish the freshness and authenticity of the siomai. 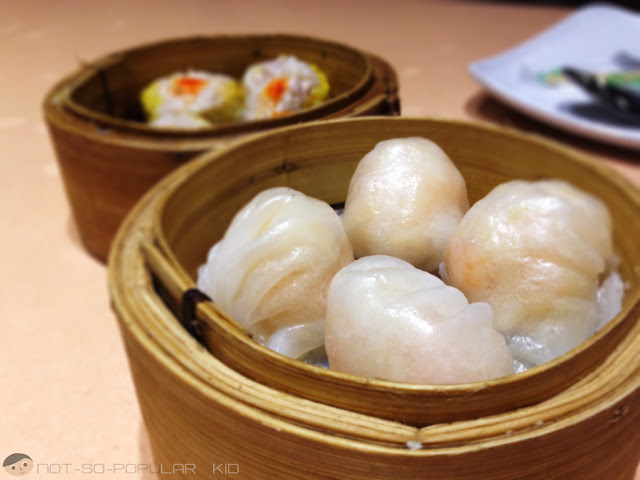 And to tell you the truth, the siomai of Golden Fortune is really a big favorite of mine! Again, same with the Shrimp Siomai, JD was able to save P22 (about 24.44% less the regular price). And since it wasn't my first time in Golden Fortune, I already had an idea of its taste. But then, JD offered to trade one of his hakaw with my siomai, for him to have an idea of the siomai's taste. Hence, I was able to remember again how great the Shrimp Hakaw was - fresh, delicious and plain awesome! Alright, enough of that and let's head for the dessert! We had this Mango Pudding at P28. 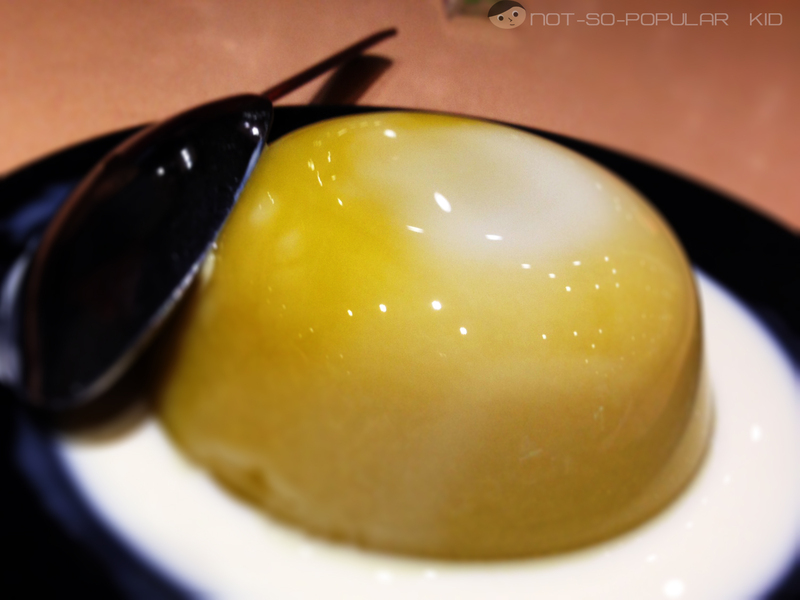 Mango Pudding: Yummy and Affordable! Goodness! I was slightly caught off-guard by this dessert! I didn't think that this one will taste great, in fact, I was expecting it to be dull and bland because of the price. But, I was wrong. It tasted above satisfactory! And for P28, I think I had more than what I paid for. That's sulit! 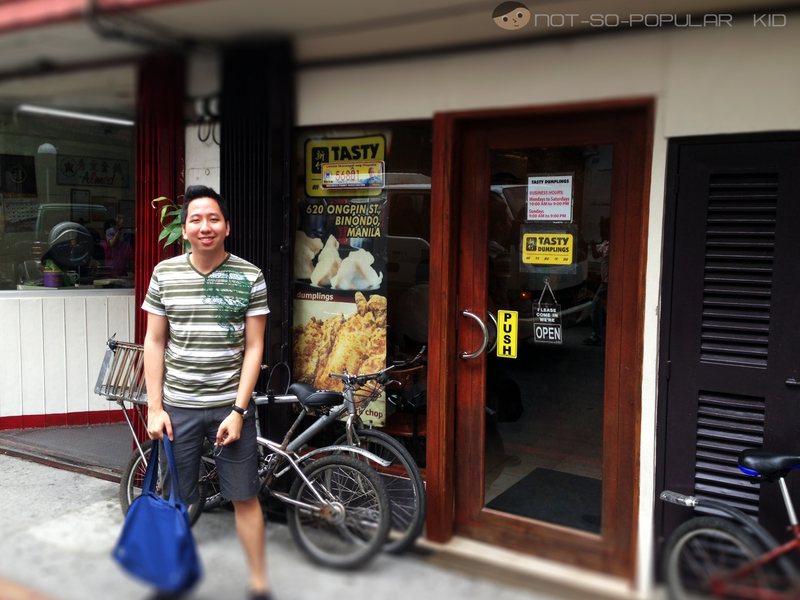 Well, sadly, that one ended our mini food trip in Binondo. We didn't explore more because it was already getting dark, and we were exhausted! Yes, I know there are still a lot to try, but I know I will be able to explore those next time. I hope my other friends will join me next time! Thanks for dropping by! 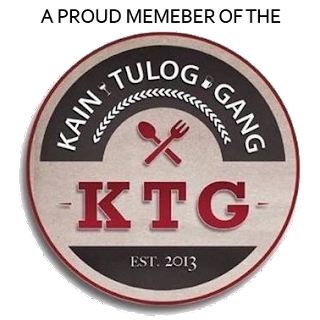 And why not recommend your favorite restaurants in Binondo by dropping a comment below? G/F Peace Hotel,1283 Soler St.
Yup, great tasting pork chops! And I really love Golden Fortune, I think that's my favorite so far.